players travelled through Jordan, Tanzania, and South Africa to play exhibition games and set up soccer clinics for girls in local communities. 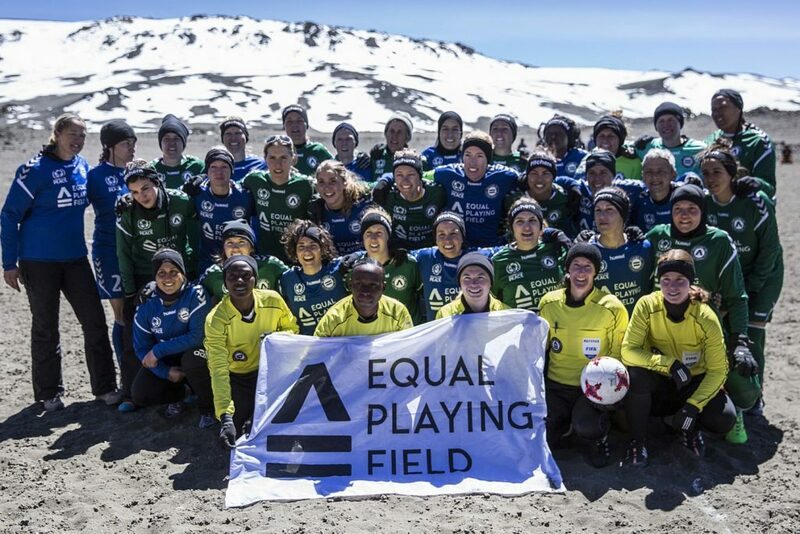 EPF’s goal is to promote women’s sports and introduce girls to soccer so that they can participate in public life, associate with boys as equals, and learn the benefits of sports, including teamwork and accomplishment. receiving over a million signatures. In June, an appeals court reversed the death sentence, finding her guilty of manslaughter and sentenced her to five years in prison. This entry was posted in Articles and tagged Artemis, Equal Playing Field, Equality Now, forced marriage, molka, Noura Hussein, patriarchy, Seoul South Korea, sexism, Sudan, Women WorldWide, women's liberation. Bookmark the permalink.